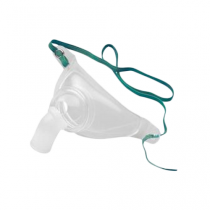 Trach Masks ON SALE | Buy Tracheostomy Masks | Vitality Medical! Adult tracheostomy masks are specifically designed with both the patient and the caregiver's best interest in mind. They have simple to attach neckbands, which will not irritate the skin and are easy to use. Our trach masks are non-restricting, reduce skin irritation, maintain comfort for the patient and allow caretakers to secure with confidence. 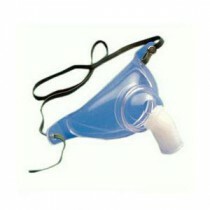 Each mask has an adjustable neck strap, which is one size fits all. They are lightweight, durable and ideal for a variety of individuals. Our Tracheostomy masks are comfortable and do not "bite." They are easy to attach and remove without causing distress. 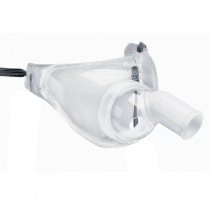 Adult Tracheostomy Mask with 360° Swivel - Easy-to-use Mask that is Ideal for Tracheostomy and Laryngectomy Aerosol Therapy and is "One Size Fits All"